With Kenya Airways daily flights from Dubai to Nairobi return, It has been made possible for those living and working in Dubai to get a weekend getaway to Maasai Mara. Be it a birthday, Anniversary, friends get together or just looking for a few days away from this busy life for relaxation. 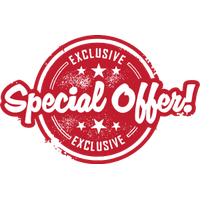 We have great offers for you. For three days get away you just need to board Kenya Airways on Thursday after work and arrive in Nairobi early Friday morning. 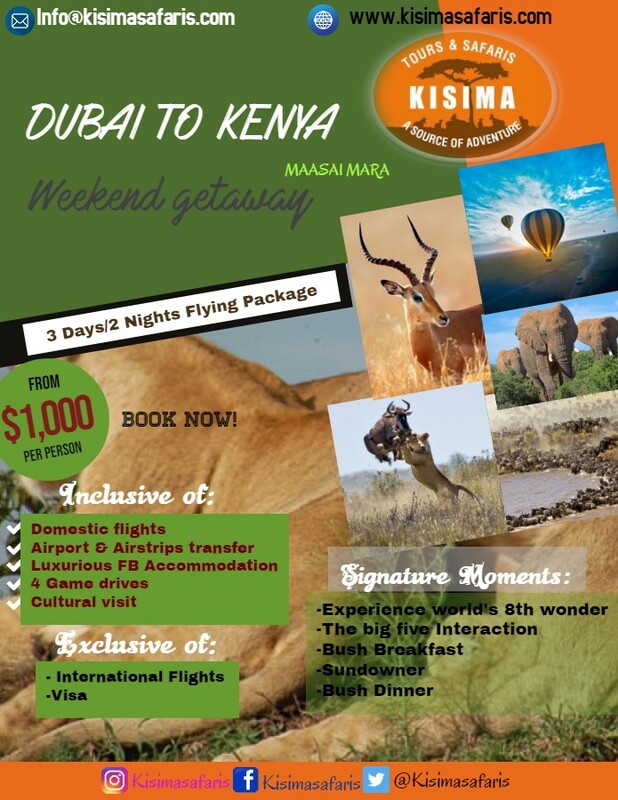 Kisima Safaris will then fly you to Maasai Mara on the same day. You will return to Nairobi on Sunday morning and in the afternoon, you fly back out to Dubai. And it doesn’t have to be a weekend, any day of the week will work perfectly well. An extra day in Maasai Mara gives you more time to explore the vast Maasai Mara Reserve that never disappoints. On arrival at Jomo Kenyatta International Airport, you will be met, briefed and transferred to Wilson Airport for your flight to Maasai Mara. On arrival at the airstrip, you will be transferred to your lodge for relaxation & lunch. Later you will enjoy an evening game drive. You will have two full days in Maasai Mara National Reserve with options of doing early morning game drive at 0630 hours before breakfast and an evening game drive or depart for a full day game viewing with picnic lunch. You will have an early morning game drive, return to the lodge for breakfast and checkout. Thereafter be transferred to the airstrip for your flight to Nairobi. On arrival you will be transferred to Jomo Kenyatta International Airport for your flight back to Dubai. All airport & airstrip transfers. Balloon Safari in Masai Mara.